Zoom is a video and audio conferencing platform. 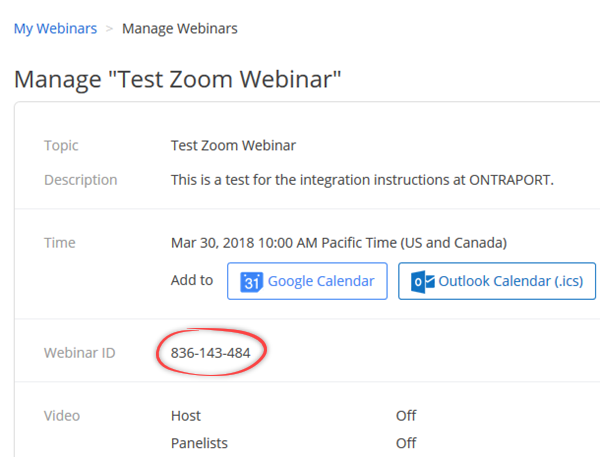 Zoom's integration with ONTRAPORT allows you to use ONTRAPORT Smart Forms or Order Forms for registering for a webinar. This allows you to capture the contact details in both applications simultaneously. Schedule a webinar in Zoom. If you already have a webinar created, open it in My Webinars for editing. Copy the Webinar ID number for use later in ONTRAPORT. 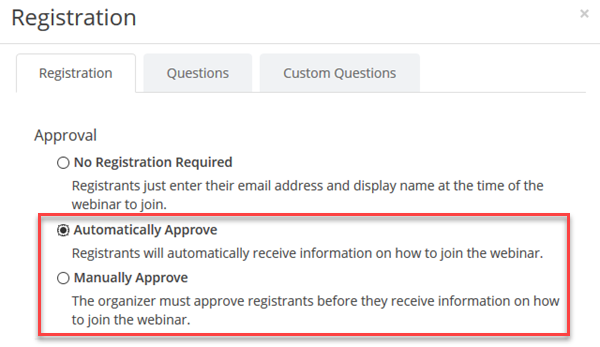 If you just created the webinar, look at the bottom of the initial page and click the Edit link in the Approval section to see the pop up for Registration. Click the Registration tab on the pop up. 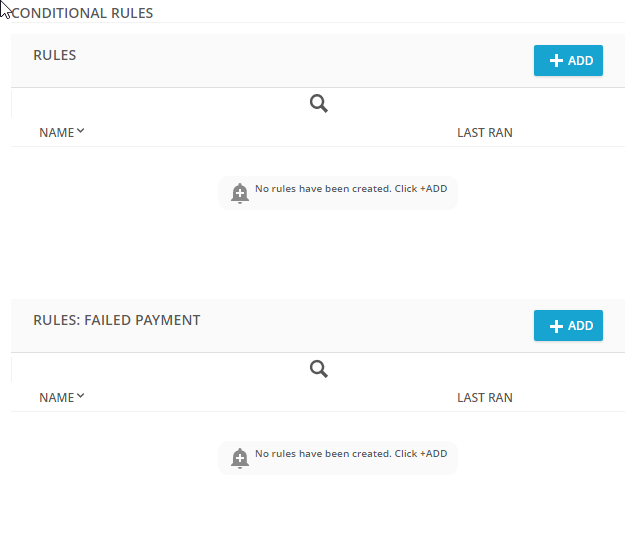 Set the registration to either Automatically Approve or Manually Approve. Make sure that all of the fields on the Questions and Custom Questions are not set to Required. Save the Invite Attendees dialog box. 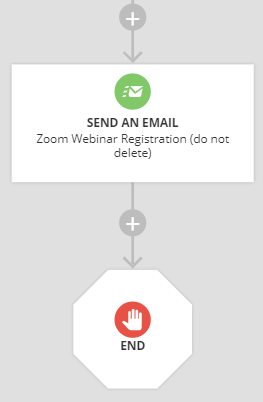 Using the Zoom Webinar Registration Campaign provides a landing page with opt in form, the webhook to register the opt in in the Zoom Webinar, and an acknowledgement email to the contact. 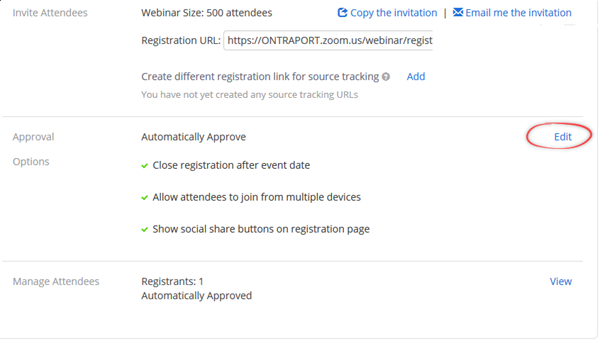 To import this Campaign ready for editing, log into your ONTRAPORT account and click this link: Zoom Webinar Registration Campaign. Or, paste this link into your browser's URL bar: https://app.ontraport.com/receivers/marketplace.php?key=7593&hash=b25NLnd2b25LcDdpTQ==. 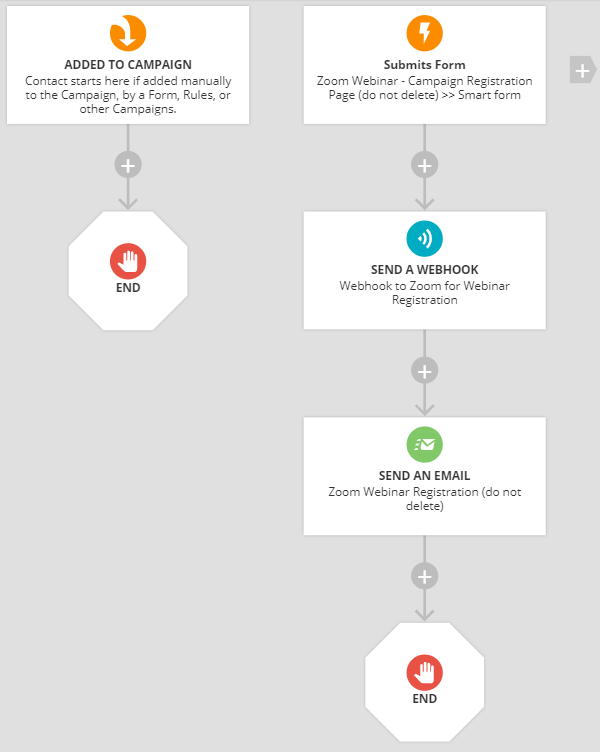 You can also create the Campaign following the explanation of the campaign elements below. Note: Include all the parameters in the webhook even if you are not using "custom questions". Zoom requires all the parameters exactly as indicated here. 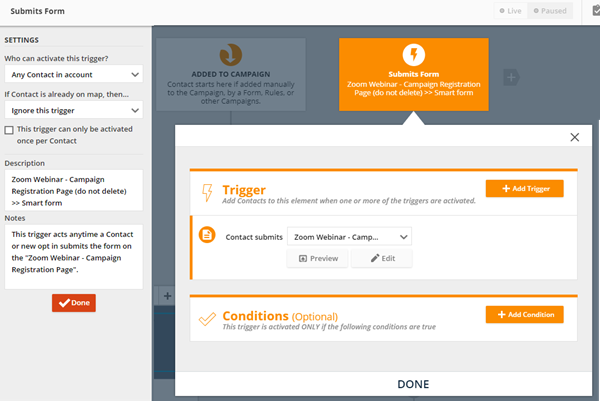 Trigger: Submits Form - This trigger is set to add any new opt in or existing Contact in the account to the Campaign. Destination URL: https://www.zoom.us/webinar/register/xxxxxxxxx (replace the "xxxx" characters with the Webinar ID from Zoom). Send an Email: Send an email acknowledging the registration. Remember to edit the email to reflect your webinar's information! End: The contacts who register will end their campaign here, a list of them will be available by clicking the number shown in Performance Mode. 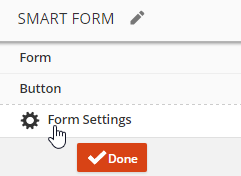 Create a Smart Form, Order Form, or use a Smart Form or Order Form block on an ONTRApages page to serve as your webinar registration form. The form must have a minimum of three fields, First Name, Last Name and Email. These three fields will be passed to Zoom for the registration. You can add additional fields if you like; the data in those fields will be stored in the ONTRAPORT Contact Record. Under Then Do This select Ping a URL. Q. Can I do more than just provide registration through ONTRAPORT? A. Yes! You can handle all of the pre-webinar notices, post-webinar followup, etc. using Date or Step Sequences in ONTRAPORT. Q. 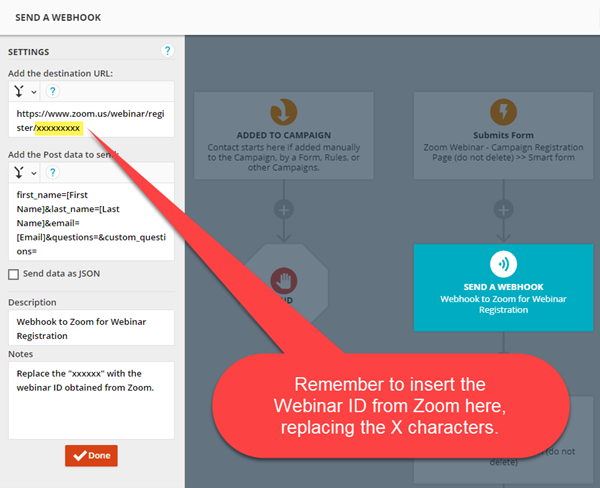 Does Zoom notify us if a person only attends half the webinar? A. Zoom is adding new features all the time. Check with Zoom Support for more information. Thanks for your comments, Ryan. I have updated the instructions above to make it easier for people who are using Custom Objects for the opt in form.